'Tis the season for entertaining and living lettuce! 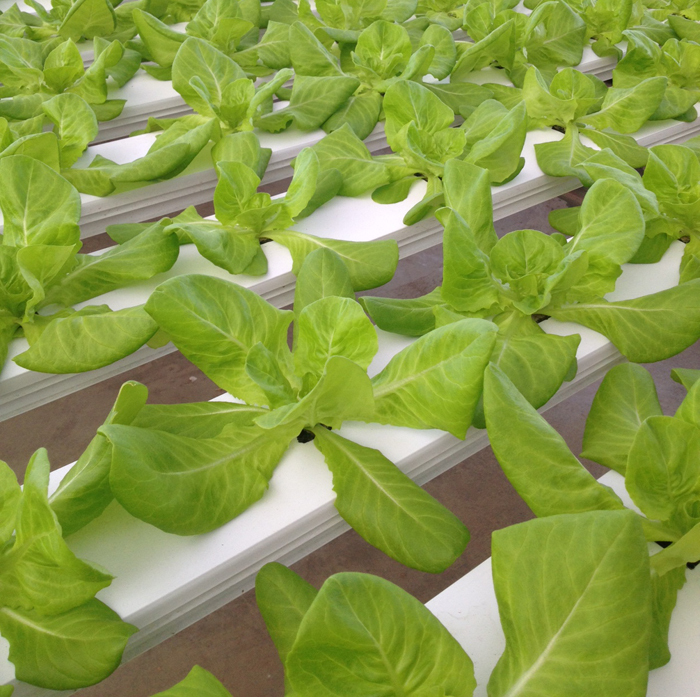 We will be harvesting our first planting of Living Lettuce, also known as Hydroponic Lettuce, this week. In just five weeks, this gorgeous loose head of lettuce grows from seed to finish in water enhanced with a solution of nutrients just inside our greenhouse in Belleville. On December 10th and 17th, from 12-1:30pm we will be featuring Eckert's Living Lettuce in an appetizer recipe during our Amazing Appetizers classes. During the class, our culinary team will share five scrumptious appetizer recipes and several entertaining shortcuts just in time for holiday parties. For more information or to register, visit us at eckerts.com. I love this recipe because it is fresh, tangy and savory all in one bite. The Asian flavors really wake up the flavors of the chicken. Certainly you can sauté fresh chicken breast but I opt for already cooked Boar's Head Ever Roast Chicken since it saves a step. If you are looking for a way to jazz up your holiday appetizer offerings, give this recipe a try! Combine the first 4 ingredients in a small bowl and whisk vigorously. Heat a large skillet over medium-high heat. Add oil to pan and swirl to coat. Add garlic and ginger to pan and sauté for 30 seconds. Add soy sauce mixture and cole slaw (or cabbage) and cook for 2 minutes. Add chicken and onions to the pan, cook for 2 minutes. Remove from heat and stir in cashews. Divide chicken mixture among lettuce leaves, wrap and serve.